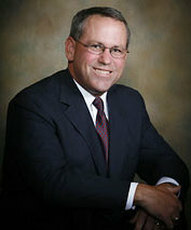 David S. Bracken, founder of David S. Bracken, P.C. and member of the Bar Register of Preeminent Lawyers, graduated from Boston College in 1982 and from George Mason Law School in 1986. He began his career as a criminal prosecutor, serving as a Commonwealth’s Attorney in Alexandria, Virginia, from 1986 until he entered private practice in 1990. As an experienced trial lawyer, he handles issues for clients in the state and federal courts efficiently and effectively. Mr. Bracken’s dynamic practice represents many clients–from individuals and small businesses to international companies and non-profit organizations–and ensures the best outcome for his clients with integrity and attentive service.